Judah Burns, MD, is Director of the Diagnostic Residency Program at Montefiore, and is an Associate Professor of Radiology at our Albert Einstein College of Medicine. Dr. Burns specializes in neuroradiology, with a focus on advanced imaging of CNS tumors, inflammatory and ischemic diseases. Dr. Burns is deeply involved in fostering systems-based improvement, specifically peer review and integrating radiology with other clinical systems. Dr. Burns received his bachelor’s degree in Biology at Yeshiva University in New York in 1999. In 2003, he received his Doctor of Medicine degree from Albert Einstein College of Medicine. After graduating, he completed an internship in internal medicine at Long Island Jewish Medical Center in 2004. Following this, Dr. Burns completed a residency in Diagnostic Radiology in 2008 and a fellowship in Neuroradiology at Montefiore in 2010. Dr. Burns focuses his research on three major areas: the utilization and appropriateness of neuroimaging, the assessment of educational feedback initiatives in medical students and residents, and system-level research gauging the efficacy of workflow processes in the delivery of advanced-level medical care. 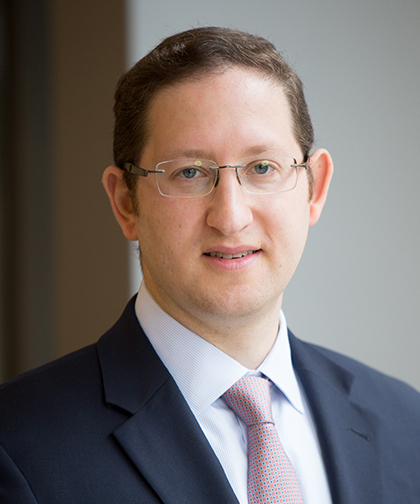 He chairs the brain imaging panel on Imaging Appropriateness for the American College of Radiology, is the Chair of the Montefiore Peer Review Board, and is an active participant in the Montefiore Quality Council. Dr. Burns is board certified by the American Board of Radiology. In 2012, he won the Harold G. Jacobson Teacher of the Year Award.